Tijaar Reer Hargaysa Ah (Somaliland) Oo Ugu Deeqday Ethiopia Lacag Ka Badan $100,000(boqol kun oo doolar)! - Munaasibad balaadhan oo maalgalin loogu ururinayey Dhaamka Afrika ugu weyn oo laga dhisayo dalka Ethiopia ayaa shalay lagu qabtay Hotel Maansoor ee Magaalada Hargeysa, kaas oo marka la Hirgalo dhaamkaasi lagu wado inuu Somaliland Koronto jaban uu soo gaadhsiiyo, ayaa intii munaasibadaasi socotay loogu yaboohay lacag kor u dhaafaysa $100,000 dollar, taas oo ay bixiyeen ka soo qaybgalayaashii Munaasibadaasi. Dhaamkan laga hirgalinyo dalka Ethiopia oo la yidhaa Grand Ethiopian Millennium Dam oo ay ka soo wareegtay muddadii dhagaxdhigiisa Hal Sano ayaa munaasibada qaadhaanka loogu ururinayey oo ay soo qabanqaabisay Jaamacada Admas ee Magaalada Hargeysa ayaa waxa ka soo qaybgalay Madaxweyne ku xigeenka Somaliland C/raxmaan Saylici, Koox Wasiiro iyo Ganacsato tiro badan. Drs Edna Adan Was Invited by the ACP - EU parliamentarians in Brussels. - Today I would like to talk about two recent developments in the Horn of Africa that I believe are related to each other through a connection of how legitimacy for actions is developed and acquired in the contemporary world scene. In addition, taken together, both bits of news demonstrate the importance of the geopolitical location of Somaliland, even if the nation itself remains obscure to most people. With that, let us begin. It’s difficult to understand why Somaliland even feels the need to debate whether participating in International Conferences jeopardizes its de facto sovereignty or its hopes for de jure international recognition in the community of nations . After all, whether it is fair or not, nations are only recognized to the extent that they are visible to the international community. Hermit nations do not receive seats on the United Nations, regardless of the legitimacy of their sovereignty. Instead, it is nations who play nice with other nations that receive a spot at the table. Haday tahay dhaqankii guunka ahaa ee nolosha miyigeena ama xoolo-dhaqashada ahaa iyo wacaashisii , haday tahay kii ka danbeeyay ee beero-qodoshada ahaa, haday tahay ka kaluumaysga, dhoofista iyo dhul kale u dhalandhoolka iyo haday tahay kan ugu danbeeyay ee magaalo soo galista ah. Bal hada ninkan reer magaalka ah ee madaniga ah ee gabaygan qaaliga ah ee aadka u mcaan duruuftu ka keentay, ee u tiriyay gabadh waayuhu kala kaxeeyay oo joogta Berbera (Saaxil) eeg, iyo erayada fudud ee uu isticmaalay ee hadana xaada iyo jidhiidhicada kaa kicinya. - Water scarcity in Tog-Wajale, a town straddling the border between northwest Somalia's self-declared republic of Somaliland and Ethiopia, is threatening the health and livelihoods of locals who cannot afford to buy it. "One barrel of water [200 litres] was only 20 [Ethiopian] birr [US$1], but the price has now reached about 50 Ethiopian birr [$2.5]," said Ahmed Jama Weirah, a father of seven in Tog-Wajale. "We can't provide for our families... because our earnings are not enough to provide food and water." The Somaliland side of Tog-Wajale has had no official water supply since 1995, following the closure of the town's only well, which had fallen into disrepair. The town's main water sources are a seasonal river that acts as the border between Somaliland and Ethiopia, and expensive pumped water from Ethiopia. "Now the [river] water is over and we can't afford to buy imported water," said Weirah. - Waa 1980-dii oo waa saban mirta dhagarta iyo beelo gabogabayntu aanay soof maqaleed marnaba ka durugsanayn nolosha dadka reer Somaliland guud ahaan gaar ahaan-na ta dadka ku dhaqan degaanka Gabiley. Waa xili ay xinjir guduudan iyo dhiig gobolaynayaa meel kastaba arlada wadhan yihiin. Waa gooro guuldaradii iyo jabkii ugu waynaa sooyaalka taariiikheed iyo inta la xasuusan karaa ku habsatay qoomka ku halda Afka-Soomaaliga. Waa maalmo la shiniyayanyo oo la fajaasayo nacayb iyo colaad gondaha dhigata degelkaas oo aayaha loo maaro waayi doono! Waa xili nin-jileec ka huleelay dudada oo uu gelin horeba fadalka gooyay, waa maalmo Aan-no hore iyo dakane rag tirsanayay u tafo xayteen aargoosigooda. Waa arooryo iyo fiidad Faaliye iyo Fooxleba saadiyeen inuu soo baxay Min Qab-qable ah iyo Maryo-dhiig! Isku soo duuboo waa Jeer Balo onokoday oo ay biyo dhigtay arlada. The President of Somaliland Republic at the London Conference: A TRUE DEMOCRAT SURROUNDED BY EATS-AFRICAN AUTOCRATS! In retrospect to the London Conference of last month, one of the most inevitable outcomes of the London Conference was the special status attributed to the delegation from Somaliland Republic, as an internationally recognised country in the midst of the global community. The way in which President Ahmed Silanyo and his delegation prepared, lobbied and presented the Somaliland’s case was an ultimate testimony to the character, nature and quality of Somaliland’s people, compared with their brotherly populations in the neighbouring countries in the region. Born on 15 May 1962. (Minister of Foreign Affairs & International Cooperation Republic of Somaliland). Mr. Omar has been appointed as a Somaliland's Foreign Minister on 28 July 2010. Since then, he has embarked on a pro-active and pragmatic foreign policy that has increased the country's international engagement. As a consequence, Somaliland relationship with IGAD countries, the Arab world and EU member states has significantly improved which resulted in more aid being allocated to Somaliland including some bilateral support for the first time, and the country has witnessed a better security and trade relationship with the neighboring states. There has also been an increased interest from foreign investors. Before becoming a Foreign Minister, Mr. Omar had been the Foreign Affairs Spokesman of the KULMIYE Political party, where he took a lead in articulating a foreign policy strategy that provided a challenge to the one pursued by the government that was in power at that time, and which contributed to his party’ s win in the June 2010 elections. - Wasiirkii hore ee Wasaarada Maaliyada Maxamed Xaashi Cilmi ayaa sheegay inuu 19 Bilood ka hor uu xilka wasaaradaasi la wareegay iyada oo Khasnada dawladdu ay madhan tahay, isla markaana dayn farabadan la ciir-ciiraysa, balse uu diiday dayntaasi oo loo saaray Guddi soo baadha. Maxamed Xaashi ayaa sidoo kale tilmaamay inuu ku wareejiyey Wasiirka Cusub ee Maaliyada C/casiis khasnada dawladda oo ay ku jiraan lacag gaadhaysa $14 Miyan oo dollar, isla markaana aan wax dayn ah loo raaci doonin wasiirka cusub. Munaasibada Xilwareejinta oo lagu qabtay xarunta wasaarada Maaliyada oo ay hadalo ka jeediyeen Wasiirkii hore ee Maaliyada iyo Wasiirka Cusub Cabdicasiis Samaale ayaa wasiirkii hore oo warbxin uu si qoto dheer ugaga hadlay waxyaabihii u qabsoomay muddadii 19-ka bilood ahayd ee uu xilka hayey iyo Caqabadaha ay la kulmeen ayaa waxa uu yidhi “Waxa aan jecelahay in aan ka waramo waxyaalo door ah oo ay ka mid yihiin xaaladii aanu la kulanay markii aanu xilka la wareegnay. The World’s Next State? Somaliland! 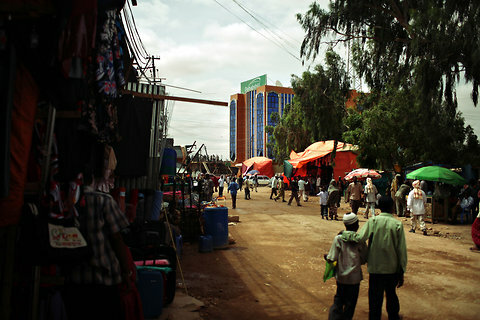 HARGEISA, Somaliland — If a country isn’t recognized, does it make a sound? Here in Somaliland, the semi-autonomous northern part of the failed state of Somalia, I discovered that the answer is an emphatic yes. The government in Mogadishu has virtually no influence in Hargeisa, the capital of Somaliland, or over the territory’s 3.5 million residents. Since 1991, when the end of Said Barre’s dictatorship plunged Somalia into anarchy, Somaliland has written its own Constitution, held four peaceful elections, established a central bank that prints its own currency, built schools and universities, and created an elaborate security apparatus that has managed to keep at bay terrorist groups like the Shabab, a Wahhabi group that operates with impunity in southern Somalia. - The business sector has dramatically changed its rate of growth. Each year it doubles its capital and increase the graph by square digits. In the early growing days, we the people of Somaliland met many problems that shape our characters and behaviour of life. We have lost everything including life, wealth and also our culture values. The regime of Siad Barre and his mercenaries army was brutally destroy all infrastructures of this nation. Beyond that, institutional collapse is the product of all. There was a quick emerging business politics that reaches its peak ever the records of business history. They use the latest approach of marketing and technology. They poured advertisement ads in local mass media and then put-on work by talented and potential workforce those are mainly youth citizens. With the absent of governmental rules and regulations it is inevitable to face business conflicts, resulting by the weak governmental agencies and bad politicians who administers those issues. The business sector dominates every aspect of life including political decision-making arenas. Thus, unlimited powers are double-edged sword which leads us either social loss or gain. Finally, there is unseen growing politics between businesses and with the lack of strong business laws we are beyond risk. Magasiinka National Geography Oo Somaliland Ku Daray Map-ka Aduunyada. - Magaasiinka magaciisa la yidhaa National Geography ee inta badan faaleeya dalalka ku yaal qaaradaha aduunyada iyo isbedelada dabeecadeed ee sida joogtada ah u guurguura ama u dhaca, iyo waliba isbedelada siyaasadeed ee keena inay dalal kala go'aan ama qaybsamaan oo ay qaabkooda bedelaan, qaar cusubina soo mudh-baxaan sida South-Sudan, Somaliland iwm, ayaa map-cusub oo uu dhawaan ku soo daabacay bogga-giisa (National Geography) iyo website-kiisa ku muujiyay, khariidada siyaasadeed ee Afrika (Africa Political Map). Kaasi oo uu dalka Jamhuuriyada diimuqraadiga ah ee Somaliland si caaqiibo leh uga dhex-muuqdo, dalalka kale ee bah-waynta xorta ah ee guud ahaan Caalamka gaar ahaan-na qaarada Afrik, siiba Geeska-Afrika. Waa markii ugu horaysay ee inta aan kolay anigu qof ahaan ka war hayo map-ka Somaliland si dhab ah isaga oo xadkiisii qadiimiga ahaa (ka-hor 26 juun 1960) ku sar-go'an, oo ka soocan wadankii aynu isku darsanay ee Soomaaliya uu ugu soo baxao jariidadan afka dheer leh ee National Geography. - Somaliland is re-engaging with international diplomacy related to its neighbour, Somalia. Our country has received widespread praise for its contribution to the recent London Conference. This event represented an important milestone in Somaliland’s diplomacy. We participated in the conference as an equal, and we laid out our views about how Somaliland can help build peace and stability in Somalia. We are very grateful to the British Government for convening the conference and for inviting us. It was the first time that Somaliland had ever taken part in an international conference dealing with the future of Somalia. Prior to the conference, some of our people had expressed reservations about Somaliland’s participation, because they were afraid that our Government’s presence in London could be misinterpreted by our international partners as endorsing an eventual return to unity with Somalia. - Sudan split earlier this year into two countries creatively named “North Sudan” (the original Sudan) and “South Sudan” (Sudan 2.0). I try to pay attention to these kinds of things… I didn’t really see it coming until it was going to happen. Somaliland, my preferred African country of study (right next to Turkmenistan in Central Asia, the most interesting country in the world) has been “independent” since 1991. They just haven’t been recognized for it. A few weeks ago, I received an email from ‘UK Somaliland Diaspora Community Pushes for International Recognition of the Republic of Somaliland’. They held a rally in London (UK) to urge the international community to recognize the nation of a few million people and the essence of stability and democracy in the entire eastern half of Africa (no big deal). - Banknotes in piles the size of desks lie on a dusty street guarded by dozing civilians -- money exchange offices in Somaliland, the northern breakaway state of war-torn Somalia. While war rages in southern Somalia -- where regional armies and government troops battle Shebab fighters allied to Al-Qaeda -- the relative stability achieved in Somaliland offers a sliver of hope for the rest of the anarchic land. "We are a peaceful and democratic country," said Ahmed Mohamed Silanyo, president of the self-declared country which broke away from Somalia in 1991, the year the Horn of Africa nation erupted into all-out civil war. "People have said we are an oasis of peace in the Horn of Africa," added Silanyo, who took the helm of this nation the size of England in peaceful 2010 polls. - The modern day Republic of Somaliland, which declared its Independence on 18 May 1991, is the third incarnation of the territory established by the British in the Horn of Africa in 1884. In June 1960, after more than seven decades as a British Protectorate, the British Somaliland Protectorate received its independence from Queen Elizabeth II. Somaliland hastily united with the Italian ruled south Somalia just five days after obtaining its own independence with the aim of uniting the five Somali inhabited territories namely British Somaliland, Djibouti – under French colony, the Somali region of eastern Ethiopia, the Somali northeast province of Kenya and the Italian ruled south of Somalia under a single flag. Somaliland’s second incarnation as an independence and sovereign state, was shorted lived. A Royal proclamation of Queen Elizabeth II granted independence to the British Protectorate at midnight 25 June, 1960 – and State of Somaliland came into being on 26June. Despite its plans for imminent unification with Somalia, Somaliland’s independence received internationally as welcome step in the process of African decolonisation and consequently recognised by a host of foreign governments. Five days later, on 1 July 1960, the Italian Trust Territory of Somalia also received its independence. The legislatures of the two countries met in joint session in Mogadishu and announced their unification as Somaliland Republic. - In this ever-changing and unpredictable geo-political issues as well as global economic, security and diplomatic challenges, a solid and well thought foreign policy is vital for a young and yet unrecognised country, like Somaliland Republic. In a very short time, the current Somaliland Foreign Policy has transformed our country from a completely introverted and isolated country into an internationally respected partner for peace, stability and democracy. The current Somaliland Foreign Policy is absolutely geared up to the changes, needs, obstacles & geo-political challenges facing Somaliland’s people today in the Horn of African Region and beyond. The Minister of Foreign Affairs and International Cooperation of Somaliland Republic has beyond every doubt demonstrated throughout his diplomatic vision and skills and sustained achievements a belief in a constructive policy of engagement in international issues for peace, democracy and security relevant developments. Through his exemplary actions and profound diplomatic vision, the Minister of Foreign Affairs has silenced all the pessimistic voices and misconceptions propagated by Somaliland’s critics. - On 18 May 2006, the self-declared Republic of Somaliland marked fifteen years since it proclaimed independence from Somalia. Although its sovereignty is still unrecognised by any country, the fact that it is a functioning constitutional democracy distinguishes it from the majority of entities with secessionist claims, and a small but growing number of governments in Africa and the West have shown sympathy for its cause. The territory’s peace and stability stands in stark contrast to much of southern Somalia, especially the anarchic capital, Mogadishu, where clashes between rival militias have recently claimed scores of lives. But Somalia’s Transitional Federal Government (TFG), which is still struggling to overcome internal divisions and establish its authority in southern Somalia, also claims sovereignty over the territory, and the issue is becoming an increasing source of tension. The African Union (AU) needs to engage in preventive diplomacy now, laying the groundwork for resolution of the dispute before it becomes a confrontation from which either side views violence as the only exit. - Somaliland is the newest nation to be part of Ethiopian Electric Power Corporation (EEPCo’s) plans of electric export deals. Sources at the corporation told Capital that the state electric power supplier plans to electrify the south-eastern border town of Somaliland, which is close to the Ethiopian border town of Togwachale (Tog-wajaale). According to sources, the electric transmission line installation work has begun around the area, but it is not known when the power transmission will commence. EEPCo, the sole electric power supplier in the country has been supplying up to 80 MW of electric power for Djibouti since mid 2011, which is the first time Ethiopia has exported electrical power. According to sources, in the future the corporation plans to expand its electric supply to Hargessa, the capital of Somaliland. “The two sides have agreed on the condition, although the deal is not yet completed,” sources said. Gen, Maxamad Cali Samatar: Kuwa I Dacwaynayaa Waa LACAG-DOON. - Dacwad socotay mudo ka badan sideed sanadood oo lagu soo oogay mid ka mid ah kuwii ugu sareeyay xukuumadii dhagar-qabtada ahayd ee Soomaaliya ka talin jirtay sanadihii u dhaxeeyay 1969-1991-kii, oo magaciisa la yidha Sareeye-guud Maxamad Cali Samatar, oo lagu soo eedeeyay inuu masuul ka ahaa dhib badan iyo xasuuq maato-lays ah oo loo gaystay dadka reer Somaliland sanadihii 1980-dii, oo haatan isagu (Cali Samatar) ugu danbayntii ka hor qirtay maxkamad ku taal dalka Maraykanku inuu QAATAY danbiga oo aanu waxba ka qabin xukunka maxkamadu ku rido. Oo idaacada Somali-voa ay waraysatay ayaa sheegay in dadka isaga dacwaynayaa ay LACAG-DOON yihiin, ee aanay ahayn kuwo haya wax cadayn ah oo danbi ah oo uu shakhsi ahaan cidnaba ka galay. Waraysigan waxa qaadaya gabdho da' yar-yar oo aan wax badan ka ogayn waxii ka dhacay dalkii la odhan jiray Soomaaliya 1980-dii, oo hadana yaabka-yaabkii badheedhaya oo aan dhex ka ahayn waraysiga oo aad arkayso in ay u tudhayaan Cali Samatar oo su'aalahii meesha ku haboonaana ka leexanayaan. Waxa isna qaybta danbe su'aalo aad u kulul oo aad uga duwan sida Cali Samatar wax loo waydiiyay lagu qarqinayaa mid ka mid ah dhibanayaasha maxkamada soo taagay Ina-Cali Samatar. - The major International Conference , on the many acute problems in and around The Horn of Africa , held in London on 23 February 2012 , has ignored the nation of four million people whose peaceful and democratic country is in the very centre of this turbulent and chaotic area . - Madaxwaynaha Somaliland Md. Axmed Maxamad Maxamuud ''Siilaanyo'' ayaa sheegay inaanay wax dhibaato ahi ku jirin inay wadahadal la galaan dawlada Soomaaliya ee haatan ama mid danbe-ba. Madaxwaynaha Somaliland Axmed Maxamed Maxamuud '' Siilaanyo'' ayaa sidaasi waxa uu ku sheegay waraysi ay la yeelatay laanta afka Soomaaliga ee idaacada BBC-du maalintii shalay ee ay taariikhud ahayd 2/03/2012-ka. 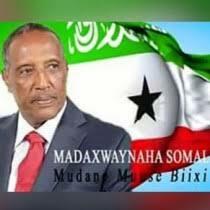 Madaxwayne Siilaanyo waxa uu cadeeyay inay ka wada-hadli doonaan madaxda Soomaaliya sidii ay labada dal ee Somaliland iyo Soomaaliya iyaga oo kala madaxbanaan ay laba dawladood oo walaalo ah oo wax wada-qabsada u noqon lahaayeen. Madaxweyne Siilaanyo waxa uu xusay in dadka reer somaliland ay 1991-kii go'aansadeen inay ka madaxbanaanaadaan dalkii ay la midoobeen 1960-kii. Waxana uu halkaa carabka ku adkeeyay in mudo haatan ka badan 20-gu' ay Somaliland ay ahayd qaran madaxbanaan. Maadaxweynaha Somaliland mudane Axmed Maxamauud Maxamad '' siilaanyo'' waxa uu ku nuux nuuxsaday inaanay Somaliland mar-danbe dib ula midoobayn gobolkii uu Talyaanigu gumaysan jiray ee Somali-taliyaano, waxa kali ah ee haatan furanina ay tahay inay isku ixtiraamaan kala madax-banaanidooda, Jaarnimo wanaagsanna ku wada noolaadaan. The Republic of Somaliland Foreign Minister’s visit to West London Somaliland Community Centre in Hayes, Middlesex, United Kingdom. - On the eve of 1st Match 2012, the Republic of Somaliland Foreign Minister, Dr Mohamed Abdilahi Omar, came to visit West London Somaliland Community Centre in Hayes, London. The Minister was welcomed by WLSC’s staff and the numerous and dedicated community members. The meeting, chaired by Suad Armiye, was aimed to bridge between the Republic of Somaliland’s government and the dedicated Somalilanders in West London. Somalilanders in West London are very passionate and devoted citizens, who work, unremittingly, on promoting Somaliland’s independence and identity. WLSC Centre, often, hosts meetings to deliberate on how to promote Somaliland’s identity in the United Kingdom. The UK-Somaliland Working Group, whom organised the 22nd Rally to support Somaliland’s independence, held all their meetings at the Centre. - This case study of the emerging Somaliland Republic pro- vides a natural experiment that sheds some useful light on the theory of state-building. It shows that the Hobbesian Leviathan is not the only path available for controlling vio- lence and building up a peaceful state. It suggests that a Lockean "horizontal social contract" model may be a viable solution in some circumstances, for "breaking up" a state of anarchy, using the expression coined by Hirshleifer (1995). In Somaliland, one observes a separation of the power to control violence, which belongs to the clans’ elders, on the one hand, and the power to tax and to produce some of the public goods that a modern state is expected to provide, on the other hand. Among other things, this study thus shows the benefit that political economists can gain from using the work of the social anthropologists for under- standing the political economy of developing countries. 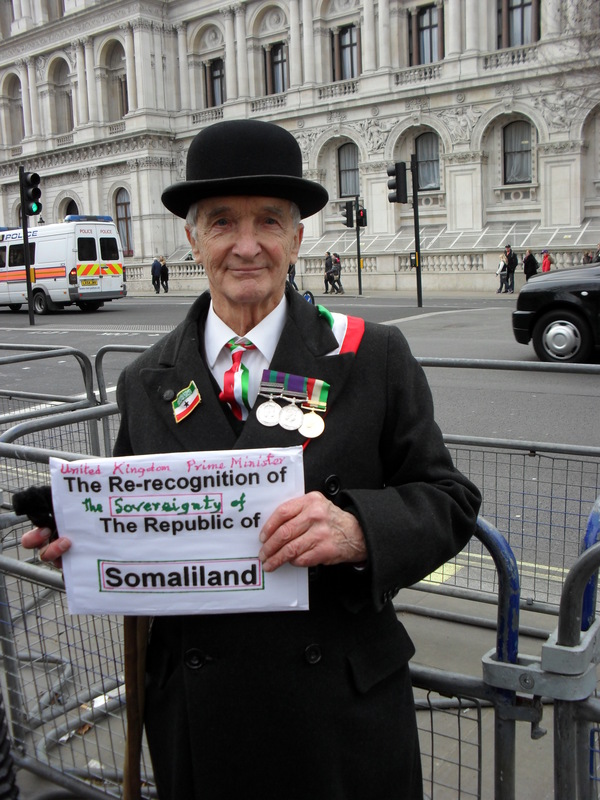 - The Somaliland people are grateful to the UK government for organizing the triumphant London conference on Somalia. We appreciate and applaud wholeheartedly the great hard work and resources put into that conference. Prime Minister Mr. David Cameron, foreign minister Mr. William Hague and the minister for international Development Mr. Andrew Mitchell did not only bring the international leaders together, but have also shown their humanitarian and diplomatic conscientiousness to tackle Somalia’s chronic blight. The Somaliland people are equally appreciative for the participation and contributions made by their Excellencies the UN secretary General Mr. Ban Ki-moon, Secretary of State Mrs. Hillary Rodham Clinton. We also salute and extend our special thanks to His Excellency President Ismail Omer Gullah of Djibouti, the foreign Minister of Turkey Mr. Ahmet Davutoglu and the Prime minister of the State of Qatar His Excellency Sheikh Hamad Bin Jassim Bin Jabr Al-Thani and all the other heads of states and the representatives of the international organisations. - The participation of the Somaliland President Ahmed Mohamed Mohamoud Silanyo and his delegation in the London conference on Somalia held on February 23, 2012 was a wise decision. This timely international conference organized by the British government was attended by 55 Heads of state and government and international organizations. The high level delegations included, amongst others, the USA Secretary of State Mrs. Hillary Clinton and the Secretary General of the United Nations, BanKi-moon. In the course of its deliberations the conference considered a 7-point agenda in details, following which it adopted a final communique’ in which it strongly condemned terrorism and violent extremism in Somalia, in the region and internationally. It also reiterated its determination to eradicate piracy. For Somaliland, the advantages of this conference are self-evident. On point 6 of the communique, the conference declared that “The conference recognized the need for the international community to support any dialogue that Somaliland and TFG or its replacement may agree to establish in order to clarify their future relations “. This is in recognition, in unambiguous terms, by the international community of the serious need for Somaliland and Somalia as two separate entities to peacefully resolve their future relations. It is affirmation by the international community that Somaliland is the opposite number and equal partner of Somalia which is based on historical reality: of Somaliland and Somalia being two separate colonial states under British and Italian rule respectively from the end of the nineteen century to 1960. - The Somaliland people felt excited and pleased with the Somaliland participation in and resulted outcomes from the London Somali conference. The President of Somaliland and his delegation supported by the unprecedented thundering roar emanating from the massive Diaspora demonstration called for the recognition of Somaliland. The Somaliland people must congratulate all those who made this momentous event a success. However, I want to take this opportunity to express my personal thoughts about an unsung hero. 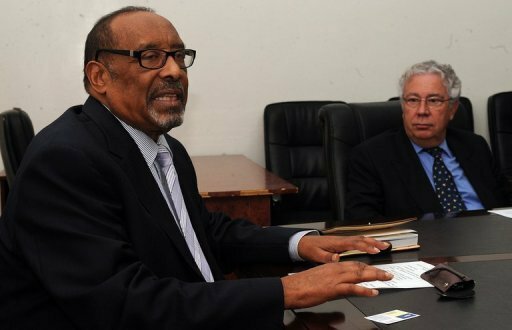 In a recent televised interview in Djibouti, Ismail Omar Geele said this about the British Prime Minister, Mr. David Cameron, in his active involvement of the London conference: “Nin walba wixiisa sheeg – roughly translated: Give everyone their due.” In this article I will try to give Ismail Omar Geele, the president of Djibouti, his due as it relates to his remarks in support of Somaliland in this conference as well as the amicable relationship he maintains with Somaliland and its leaders. - The self-declared independent state in the north-west corner of conflict-ridden Somalia has been an oasis of calm, and it is now seeking foreign investment Amid the war-ravaged landscape of Somalia, the self-declared independent state of Somaliland has carved out a reputation for relative calm. Last week's London conference on Somalia made a nod to Somaliland, formerly a British protectorate, and the semi-autonomous region of Puntland. Without naming them, the final communique "welcomed the success in some areas of Somalia in establishing local areas of stability, and agreed to increase support to build legitimate and peaceful authorities, and improve services to people living in these areas". Neither region was named because of Somalia's political sensitivities. Somaliland has not been recognised internationally since it broke away in 1991 after the fall of Siad Barre, the Somali dictator, and Somalis strongly reject the idea of Somaliland's independence. It was a diplomatic breakthrough in itself to have Ahmed Mahamound Silanyo, the Somaliland president, present at last week's meeting. - Alex de Waal, writing in the NY Times on 21st February, argued that instead of focusing on the negative, international policy-makers should recognise the remarkable achievements of many in Somalia, and most particularly those of the self-declared Republic of Somaliland. His comments were timed for two days before a major international conference on Somalia held in London and hosted by the UK government on 23rd February. But in the run-up to the conference, William Hague repeatedly used the phrase ‘Somalia is the world’s-worst failed state’, suggesting that the focus on the negative is here to stay. This is in spite of conference talk about ‘supporting local initiatives’ and the need for the process to be ‘Somali-led’. Taking a rather more cynical line, respected French academic Gerard Prunier described the conference as ‘Alice in Wonderland Goes Imperialist’, and ridiculed the organisers for calling for Somali-led initiatives while inviting few Somalis to the conference itself. So how do we pick our way through the myriad of viewpoints?